The former home of Nelson Mandela’s first wife, Evelyn Mase Mandela has fallen into ruin. The house on the main street of Cofimvaba in Intsika Yethu Local Municipality of the Eastern Cape has been vandalised. People move freely in and out of the property. The windows and doors are broken. So is the ceiling, and rubbish is scattered all over the rooms and yard. Evelyn lived in the modest L-shaped house from 1972 to 2004, when she died. The house is owned by the Mandela family. The original plot was given to Evelyn by Daliwonga Matanzima, former president of Transkei homeland according to grandson Mandla Mandela. Evelyn Mase Mandela, born in 1922, was a nurse from Engcobo and a cousin to Walter Sisulu. She married Nelson Mandela in 1944. They divorced in 1958. The couple had four children: Thembekile, Makgatho, Makaziwe (who died at nine months) and the youngest also named Makaziwe. A devout Jehovah’s Witness, Evelyn moved to Cofimvaba where she opened a grocery shop and raised her children. 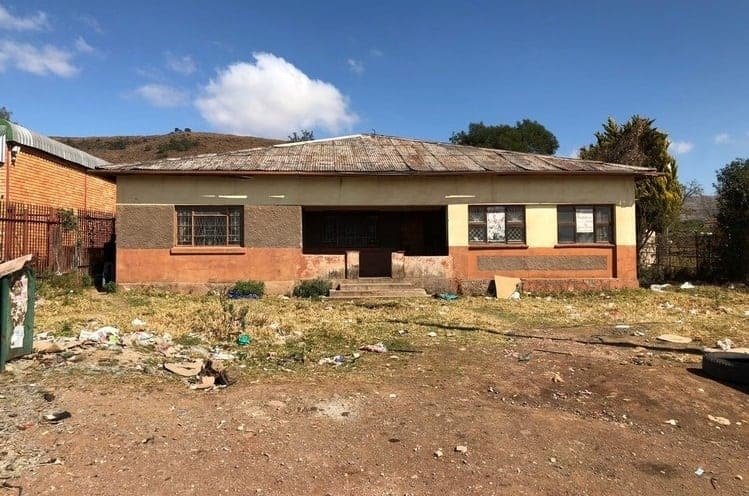 Mandla Mandela said, “It pains us that our grandmother’s house looks like this, but we are in the process of revamping the property to restore the dignity and significance of our heritage. The role my grandmother played is of pivotal importance and it is important for future generations to understand the history of this country”. “The restoration of the house will begin soon and funds will be sourced privately and we hope government will play their part,” said Mandela. The property has two plots. One was the household and the other was a grocery store which Evelyn ran for decades.